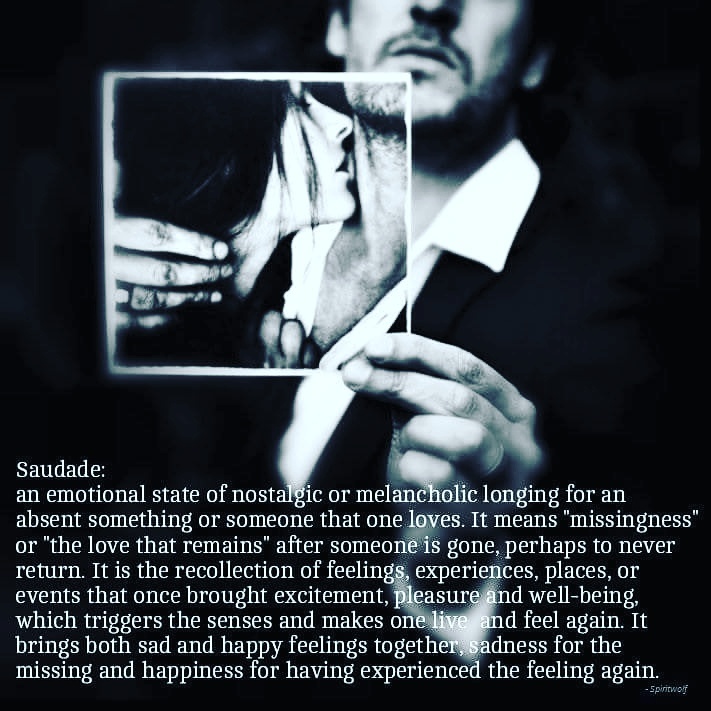 Saudade is one of my favorite words, because it succinctly describes an emotional state of something that many see as paradoxical. how can you be both happy and sad at the same time? but life isn’t always one way or the other or black or white. there is much more grey space where people, ideas and things meet, and it’s something i think we lose in our ‘canned’ versions of how things are supposed to be. life can be very bittersweet and ironic. personally, i find the endless enlightenment quest to live in a continuous state of some zen bliss, joy and ‘happiness’ meaningless and empty. sorry, life is just not like that. sometimes…yes i am deleriously happy sometimes, i do find peace, have moments of bliss. but that’s not a sustainable place to be all the time. it’s not realistic. strive instead for content. for real, honest and authentic and let both the feelings of sadness and joy come and go, like they are supposed to. this is how you learn what each side is about… how can you truly know what bliss is like if you have never felt real sorrow, or know true love without loss? so just be present when all the things happen (and they will). yes, practice gratitude, but also be grateful for the things which are difficult, and uncomfortable because this is where you see that you need the darkness to understand the light. this is where you grow. a wise woman once told me that you will only find grace in the grey. so, namaste. yin and yang, balance… that’s how you find peace.